With a single Registration, a participant can Know More in all the above events. Registration can be done Online (through Debit Card, Net Banking or Credit Card) and Offline (through Mywbut Campus Representatives). Opportunity for Internships, Discounts in Summer Training Courses for the top rankers of any of the event. 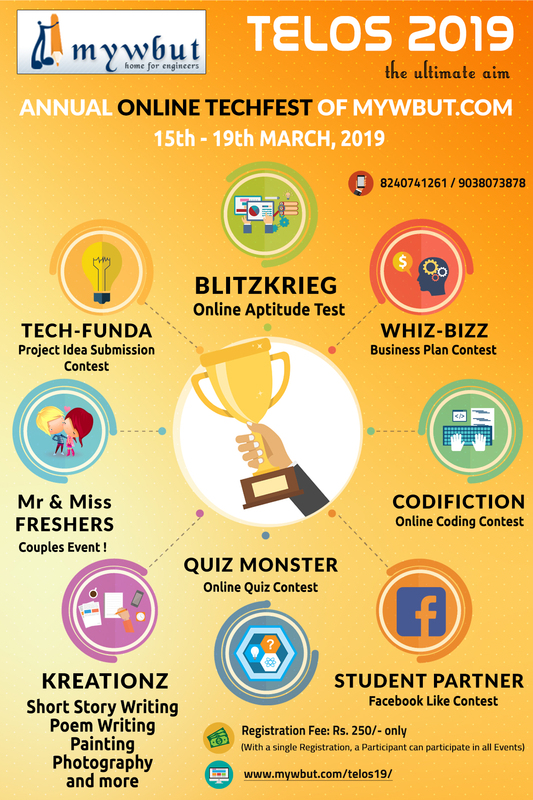 For any other details, browse the website or visit TELOS 2019 @ Facebook or Contact your Mywbut Campus Representative or Call MYWBUT at 8240741261 / 9038073878.